Stage 1: Single-family residential development. Stage 2: Transition to higher density, apartment construction. Stage 3: Downgrading to accommodate higher density through conversion and overcrowding of existing structures, spread of ethnic and minority districts. Stage 4: Thinning-out or “shrinkage” characterized by population loss and decline in housing units. 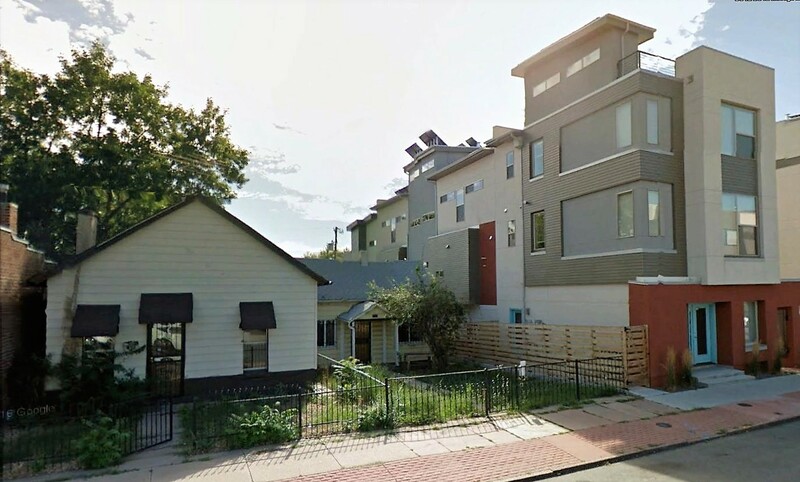 Stage 5: Renewal through public intervention, redevelopment and replacement of obsolete housing with new multifamily apartments. Around the same time, the cyclic notion of “filtering” became popular; namely, the proposition—simplisticly restated by my reader—that housing has a life cycle, and expensive housing gradually becomes less and less expensive as it gets older, until it becomes affordable by lower-income people. More recently, a similar but opposite idea has gained currency, sometimes called “reverse filtering” but more often “gentrification”— that inexpensive housing gradually becomes more and more expensive, until it is no longer affordable by lower-income people. I’m not an idiot, and so I realize that there’s some truth to all of this. There are broad boom-bust cycles in real estate, for both psychological and economic reasons. Neighborhoods do change, and many go downhill. Filtering does happen. A lot of housing does get less expensive—at least in relative terms—over time, and some inexpensive housing reverses course and becomes more expensive as a neighborhood gentrifies. But, there’s nothing predetermined or automatic about it, and when we start to believe too much in cycles, we find ourselves in a dangerous mental trap. If we think back to the study RERC did for HUD, it seems pretty clear in retrospect that it was mainly validating the perspective it started out with; namely, that like a lot of people in the 1970s, it had bought into a belief that the cities and their neighborhoods were basically going down the tubes. In some places, that belief turned into a self-fulfilling prophecy. Today, a lot of people seem to be buying into a similar belief that American cities and their neighborhoods have “turned around” and are all utterly desirable wealth magnets. As a result, the argument goes, no urban neighborhood is safe from gentrification. I’m overstating the argument, but not by much. The reality, of course, is that outside a handful of cities that are seeing some change, like Seattle or Washington, D.C. (which really are wealth magnets), overall there’s still a lot more neighborhood decline than gentrification going on. The fact is that while housing and neighborhoods as a whole may tend to cycle, to assume that there’s a predictable pattern that one can apply to any neighborhood or housing situation is a classic example of what the great behavioral economists Kahneman and Tversky called a heuristic. In their classic formulation, they defined it as something that, “reduces the complex tasks of assessing probabilities and predicting values to simpler judgmental operations.” Put more simply, it’s a mental shortcut that saves one the need to think closely about something. The trajectory of any particular building, block, or neighborhood is a function of a lot of different things that are specific to that building, block, neighborhood, city, or region. As Rick Jacobus pointed out in a recent Shelterforce blog post, housing doesn’t filter, neighborhoods do. Housing trends are infinitely variable, depending on what’s taking place at the neighborhood level, which is in turn powerfully affected by larger conditions such as regional growth patterns and amenity levels. There are reasons why housing generally filters up in San Francisco and down in Fresno. Looking at gentrification as part of an inevitable cycle makes it harder, not easier, to deal effectively with those places where it really is happening. As human beings, it is natural to look for shortcuts to interpret what we see, and to look for overarching systems into which we can plug specific cases. As advocates, planners, community developers and others, however, we need to avoid simplistic assumptions about cycles and about the inevitability of any particular type of change. We need to do the hard work of pulling together and analyzing information about the factors that are likely to go into whether and how a neighborhood is going to change, or how constructing housing is going to affect existing house prices, how much to rely on the private market to address lower-income housing needs, and so forth. Otherwise, in the immortal words of the philosopher Yogi Berra, if you don’t know where you’re going, you’ll end up someplace else. For people who want to delve into this subject, the RERC report on neighborhood change can be read online (but not downloaded except by member institutions). I don’t know exactly what you’re arguing against. So, someone has the idea that allowing luxury housing will partially meet the demand in a specific location . . . allowing non-luxury people to have less housing competition from luxury people and in the long run increasing the supply of housing for non-luxury people. You say the neighborhood is what filters so that won’t translate into a future increase of supply of non-luxury housing. Now, let’s step away from dueling ideas for a sec & just look at what actually happens. I do see situations where housing is built and hasn’t gone through the whole decline/reborn process . . . it never faces gentrification because the gentry never left. Most of the time, I do see the building and/or neighborhood filter which effectively makes a building available to non-luxury people. I see you arguing a technicality which misses the greater truth about housing supply.